80,000 visitors – no more ads! Firstly, a massive THANK YOU to everyone who has visited the TasView website! To celebrate 80,000 page visits I’ve thrown some funds to WordPress mainly to get rid of the ever increasing intrusive advertising! In June this year I “purchased” a DJI Mavic Air, added a page for it under the Aircraft section as well as posting a few short videos and photos. I’ve now done 51 flights with almost 11 hours flight time and not a single issue – apart from a signal drop out while filming these falls but after a few skipped heart beats it came back without incident. Average flight time is 15 minutes, with a maximum for me of 17 minutes. I’ve gained confidence and trust in this craft resulting in more “risky”( but not illegal or unsafe) flights like the image taken above. I’m also finding it easier and safer in many instances to carefully hand catch (avoiding the sensors) rather than land, mainly due to the terrain I fly in. I’m still experimenting with camera settings, getting the best exposure with the filters and video editing, of which I’ve done little of late as I’m working toward a bigger project! For more information on this pocket platform including my Pre-flight checklist and full settings, visit the Mavic Air Page. A firmware upgrade .500 was released recently for the Air. It showed up in the app when I went to go for a quick flight yesterday, even though I’d only updated everything about a week ago after the launch of the Mavic2 series. I dismissed it and flew with no problems, but on getting home (to my WiFi), the update message failed to show in the DJI Go4 app again after reconnecting several times, so I updated today through the DJI Assistant 2 on my PC. The assistant will also let you roll back to v.400. It’s raining and windy today so I haven’t yet tested but other pilots on the MavicPilots.com forum report no issues. One thing of note, upgrading reset’s most of the crafts settings so make a note of yours beforehand or you can use mine as a guide. CASA are seeking public feedback on new draft rules for commercial or professional drone operations. Visit the Consultation Hub to provide your feedback by 18 November 2018. It’s mostly about streamlining and setting consistent standards for RePL training, controlling RPA below 400 ft in controlled airspace, new extended visual line of sight (EVLOS) operations and record keeping and notification requirements. I’ve read through the Draft Part 101 Manual of Standards (MOS) and if you ‘fly for fun’, or in the sub 2kg class, all the essential/fundamental drone rules remain the same. A small section of the proposed new rules – clarifying the requirements to operate in controlled and non-controlled airspace – may affect some recreational users. As always, safe and happy flying! Due to ongoing health issues, one of the site’s contributors has decided pull out from flying and did not wish to be involved with the site anymore. All of the references to him have been removed, I wish him well. 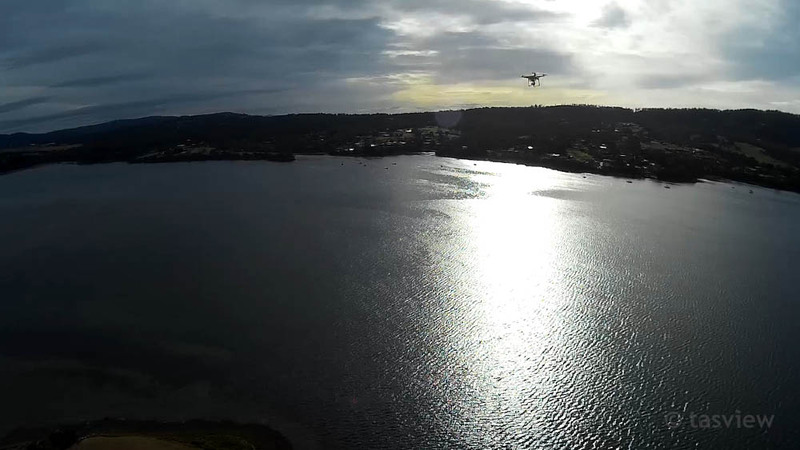 For a while now, I have been able to operate a sub 2kg UAV in a commercial capacity after notifying CASA. I purchased a second-hand Phantom 3 Standard and have modified it (of course!) but unfortunately haven’t flown for some time due to other commitments. Hoping to get airborne, photographing and updating again soon. CASA announced today new stronger and clearer rules for flying drones to help drone flyers operate with increased safety [edit: IN AUSTRALIA]. The new rules will better protect people and aircraft from drones and have been developed in response to community concerns about drone safety and the rapid increase in the number of drone operators. They do not apply to all drone flyers. If you hold a remote pilot licence (RePL) and operate according to a remotely piloted aircraft operator certificate (ReOC) or have an authorisation from CASA, you will be exempt from the new measures. Model aircraft operating under CASA approvals are also exempt. These new interim measures also make it clear that operating drones near a public safety or emergency operations is not permitted. CASA has also launched a new website called droneflyer.com.au that explains key safety rules for recreational drone flyers, using easy-to-understand language and clear and simple information graphics. 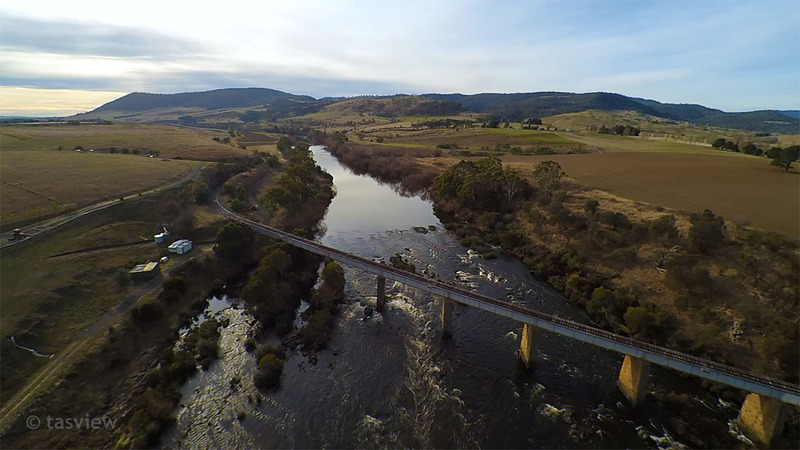 Droneflyer.com.au complements CASA’s Can I fly there? free mobile app, which helps recreational and sub-2 kg drone operators fly safely by providing practical information about where they can and can’t operate. A busy year with a new job and unfortunately not much time to play with drones or create posts here. Firstly my F55o: After experimenting with a tri-copter setup, I decided the efficiency cost was just too great. I tried various combinations of prop sizes, had a few failures and eventually rebuilt it back to a hex setup on an S550 frame. While it did fly, the extra weight of the G40 gimbal and Sony RX100III cut flight times down by around half! It also pushed the total weight of my craft just over the new 2kg limit for unlicensed commercial operation – which was a major goal for me and the main reason I tried the tri configuration. I then had some random stability issues with the rebuilt S550 with it deciding to tilt 45 degrees and dive flat out toward the ground – or nearest tree, I’m still not sure if this was a flight controller issue or due to the extra weight of the gimbal causing a pendulum effect. I ran out of time, money and enthusiasm to continue trying to sort it out. A mate (Regis) and I have been watching developments on the relatively new DJI Mavic in forums. He’s decided to bite the bullet and get one, leaving his well loved Phantom3 looking for a new home – so I decided I would adopt it as an interim craft while I probably wait for V2 of the Mavic in a year or so. 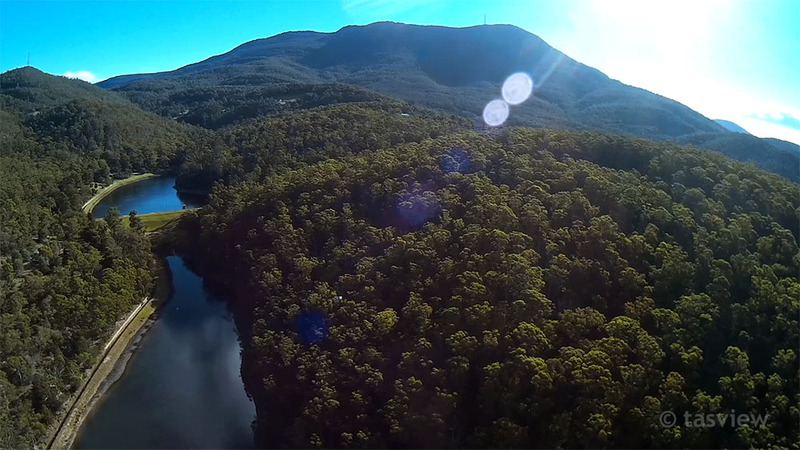 SO, I should be back in the air very soon gathering more footage around Hobart and Tasmania. 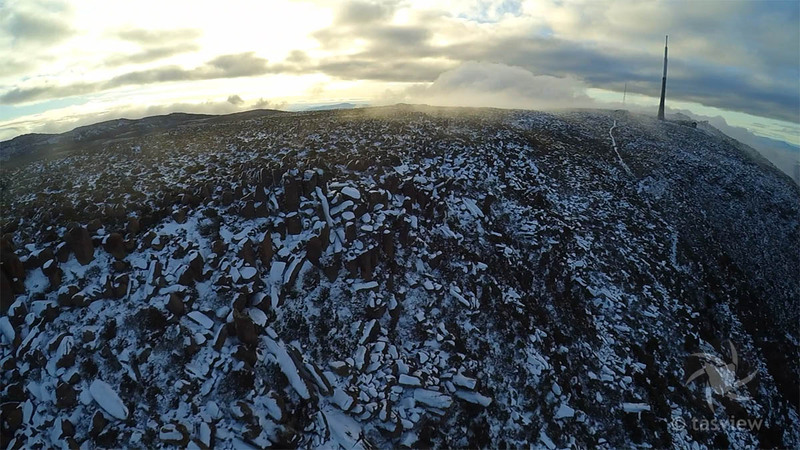 Regis and I took a short drive to the Utas soccer fields on Mt Nelson so he could take his P3 for a fly. The main fields were empty, but someone was busy using a theodolite and setting up reflective markers. Turns out it was some guy’s from the Uni, preparing to test their latest 3D mapping UAV! This thing weighs around 15KG, has 6 batteries, 3GPS receivers and was an amazing thing to witness lifting off the ground – surprisingly not much louder than the S550. Here’s a link to the Uni project, though at the time of posting, there was no info provided on this particular drone. I’ve drawn a complete wiring diagram of my new Tricopter. You can access an easier to read PDF version HERE. Hopefully the diagram above might help someone out using similar components but I also did it for my own reference. The F550 Y6 Tricopter rebuild with Sony RX100 III and G40 gimbal has been moved to a new seperate page HERE. Further details about the diagram above can be found on the new page. After an almost complete rebuild it’s now ready for launch – when some new props arrive. Some initial testing will be required and I may need to change some configurations. I changed the legs from the earlier photos saving 65g. Technical information: DJI F550 flame-wheel frame with Aimdroix extended arms, iFlight G40 gimbal, GentWIRE-MULTI remote controlled Sony RX100 III camera, NazaM V2 flight controller with iOSD (On Screen display providing in-flight information live from the craft), F12E controller with First Person View. 6600 mAh battery, expected flight time around 12 minutes. AUW: 2.4kg, Motor centres: 56cm apart. Top props 9443, bottom props 1145 – this may change depending on efficiency. Over the last week, I’ve been converting my F550 Hex into a Y6 Tricopter! It’s coming together nicely with some wiring to be completed before getting airbourne with a Sony RX100M3 controlled remotely by a gentles GentWIRE-MULIT mounted on a G40 gimbal – which I plan to modify and lighten down the track. I’ve used lighter Aimdroix extended aluminium arms and have some 1145 (11 inch) props on the way. Further details and photos can be found on the updated F550 page. I’ve been looking at getting a better camera on a UAV since, well, since I looked at getting a UAV! I had plenty of time to research while saving up and bang for buck, the Sony RX100 series constantly came up trumps with almost anything I compared it with. I ended up getting a second hand RX100III. In a compact body under 300g it delivers crisp 20mp RAW stills with good dynamic range and after testing I’d have to say it’s better than my entry level Nikon D3200 DSLR! I have yet to fully test video so will save comment for a more indepth review down the track. This week I began the serious hunt for a suitable gimbal – again, bang for buck and minimum weight the main criteria. Walkera make the G3-S gimbal specifically for the RX100, it’s reasonably priced and only 340g. Many reviews point out that it is unreliable and many users swap out the controller for an AlexMos or Storm32. As my current G3-D won’t save adjusted settings, I have to reconfigure it every time I launch and given my past experience with Walkera, I began hunting elsewhere.After comparing pretty much every available gimbal option including building one from scratch, today I ordered the fairly newly released iFlight G40 with 32 bit BaseCam AlexMos from AliExpress. There’s not much information out on the G40 at the moment, a few company video’s on youtube where it looks buttery smooth and the odd feedback on store sites which is positive. I will probably mod this gimbal eventually – it’s arms mainly – to get the current weight of 564g down as much as I can, hopefully writing a positive review of it in a month or three. TRD Beholder NEXt gimbal 3-axis – AlexMos 32bit – 564g – $599AU TRD, $420AU Frame Kit no controller! Infinity MR-S – Alexmos – 747g? 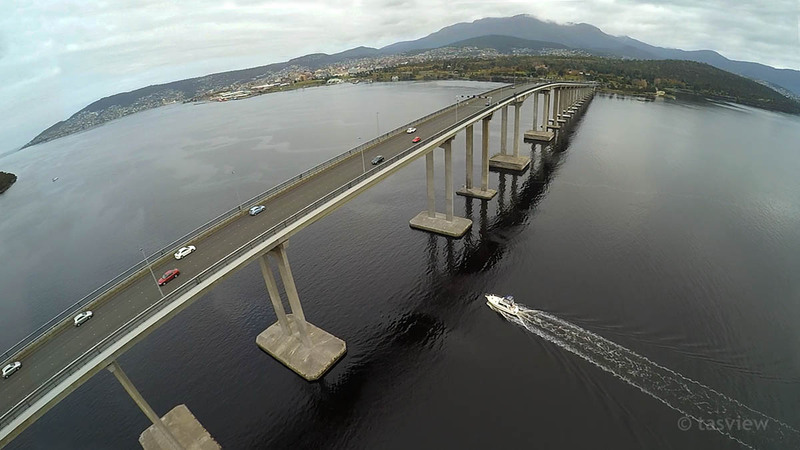 Lates video – the F550 over Hobart. 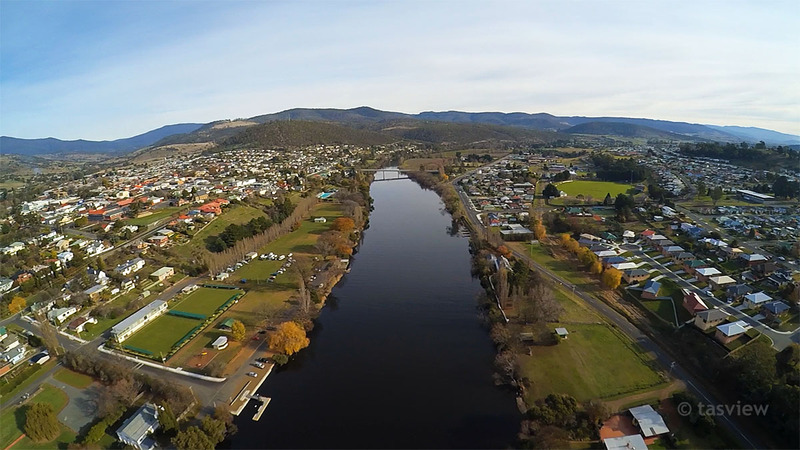 The footage in this video was captured over the last two months at various locations around Hobart. Everyone that has approached me while flying has been positive and curious about the craft, I’ve now had over 100 flights with the F550 with no issues. Legally, UAV’s must fly under 120m and 30m away from buildings, vehicles and crowds and though capable of flying 2 km away, they must be kept within line of site. 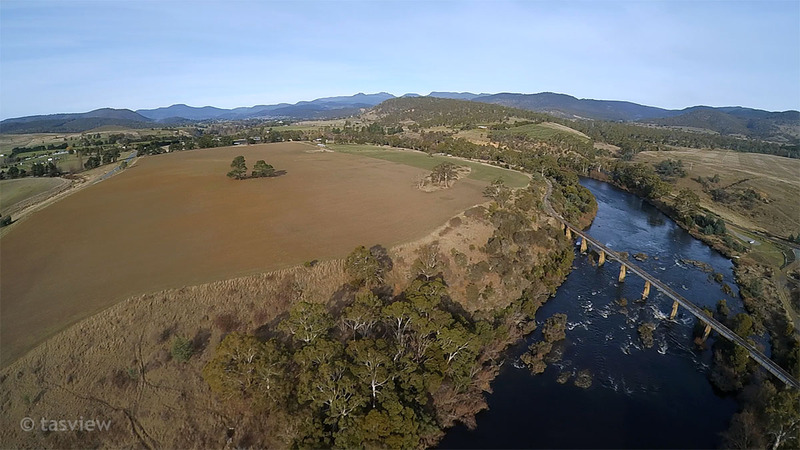 My UAV carries a wide angle camera for landscapes and it not set up to spy on people. Please enjoy the video, I’ve been practicing my video editing skills as well as flying and capture skills. 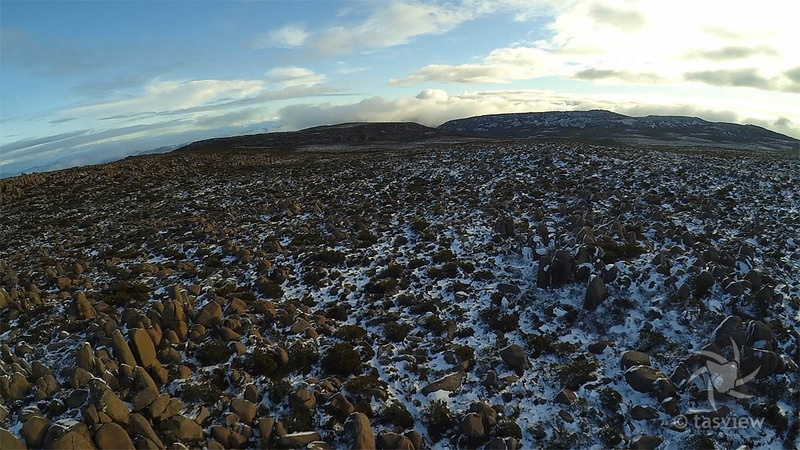 kunanyi – Mt Wellington in the snow! After checking the road to the top was open and great wind conditions, I braved the cold and headed up Hobart’s mountain backdrop to play with my F550 in the snow! I walked about 30 minutes south of the carpark and giant radio/tv tower to the boulder fields. The sky’s were clear on takeoff, but 12 minutes later the cloud came in and I hastily landed to retrace my steps in the mist with reduced visibility on a poorly marked track. 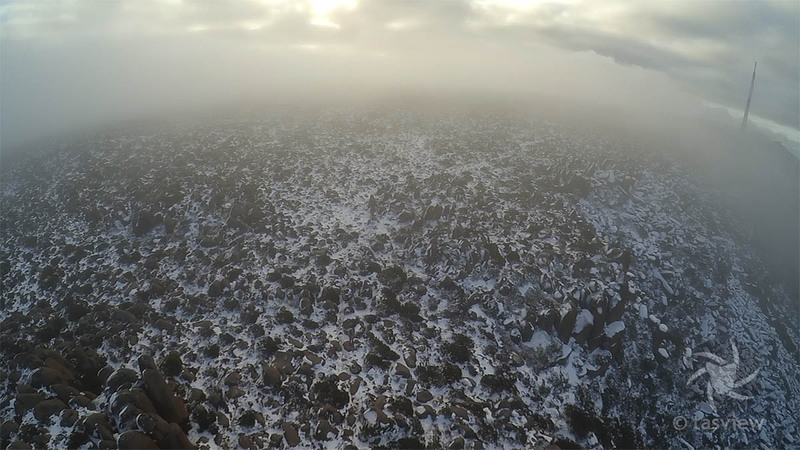 Drone view of the bolderfield south of the summit of Mt Wellington, taken from over the edge! 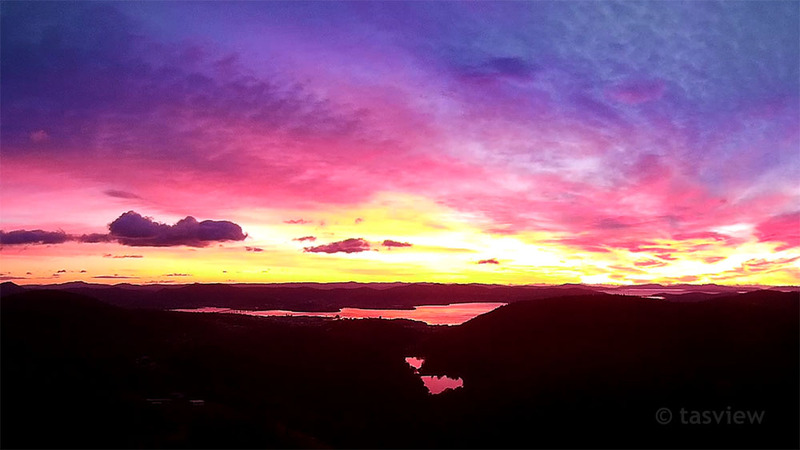 Panorama of Hobart from kunanyi – 3 photos stiched from video. kunanyi – Mt Wellington.The big cloud way over the hill was on me in 12 minutes. Closer shot of the bolder fields on Mt Wellington. Bolder Fields as the cloud closed in. Can you find me in this Pic? 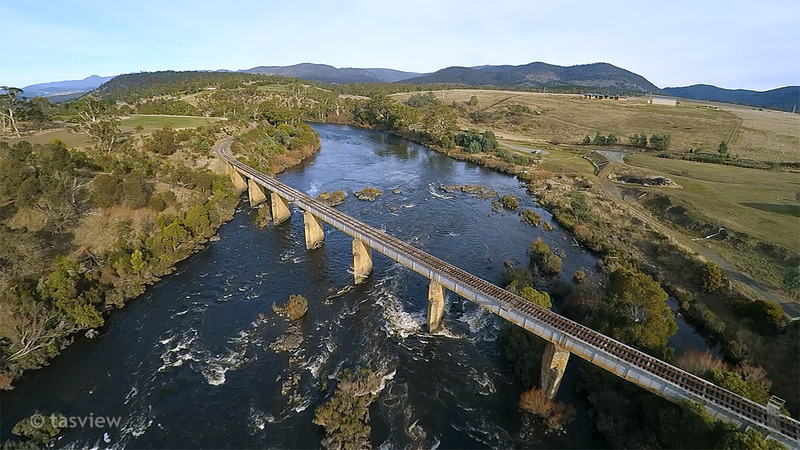 Railway Bridge, Derwent River above New Norfolk, Tasmania. Missed the autumn leaves by that much. Dialing the gimbal in and testing the new camera, a cheap Xiaomi Yi with Sony image sensor. Light was pretty ordinary today, still some focus adjustment to work on but getting close. To simplify navigation the theme has been changed for the entire website, there is now a menu to pages along the top and footer of all pages. Nesting of pages in navigation has also changed due to space restrictiond of the menu. The header photo has been updated to reflect our current operational craft and many small modifications have been made on almost every page. I hope you find it easier to get around and enjoy the fresh look. We’ve currently had 28,357 hits to the site! We are still currently non-commercial operators but looking forward to CASA’s proposed rule changes to enable us to recoupe our investment in this great hobby. Onward and upward! 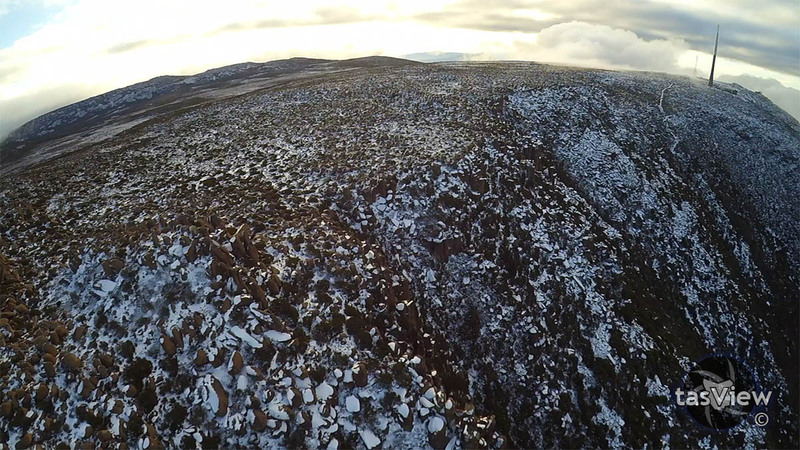 Some amazing scenery above Hobart, the Derwent Estuary and kunanyi – Mt Wellington from the F550 with iLook. 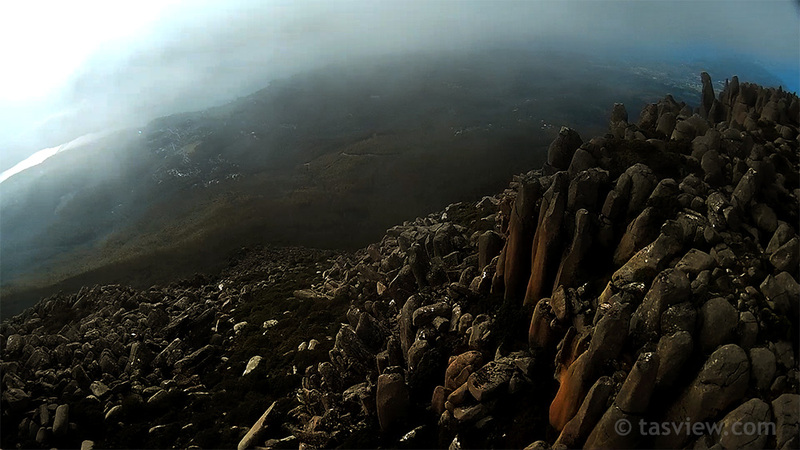 Mt Wellington, over the edge. I’ve ditched the Scout X4! After a pilot error with my Scout some weeks ago requiring around $450 to repair, I started researching other options and the DJI F550 Flamewheel Naza M V2 ARF kit caught my eye for just $650. I’d looked at this kit before purchasing the Scout X4 but didn’t think I had the experience then with multirotors to build one. – Taking off in manual mode to have GPS get a lock in the air and crash into my house! These all required pulling the Scout apart to repair and I learnt a great deal – giving me no confidence in the Scout and the confidence to build a UAV from scratch. I’ve now had 20 trouble free flights with the F550, not a single issue, flies great and I’m very happy and finally confident in my UAV. Because of this, I will no longer be supporting the Walkera Scout X4 pages on this site or answering any question but I will leave them here for users reference. For further support, please join the new Facebook Walkera Scout X4 and Tali H500 Support Group and ask your questions there. I will be starting a new section on the F550 on this site shortly. Good luck with your Scouts, you’ll probably need it! 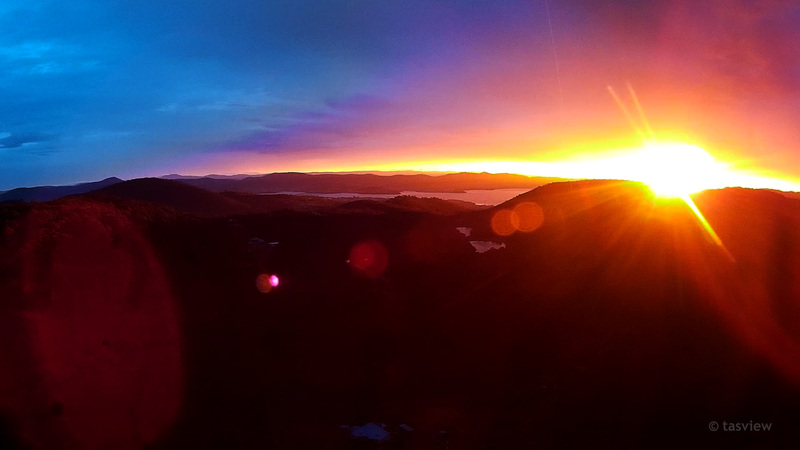 The DJI F550 flamewheel rises with the sun on it’s 20th trouble free flight.